Our programs are a key way Community Forge aims to meet its mission to support arts, learning, and wellness in Wilkinsburg. We are currently doing a needs assessment in Wilkinsburg to make sure our programs match what our neighbors want. If you’d like to share some ideas, please email us at hello@forge.community or use our contact form. 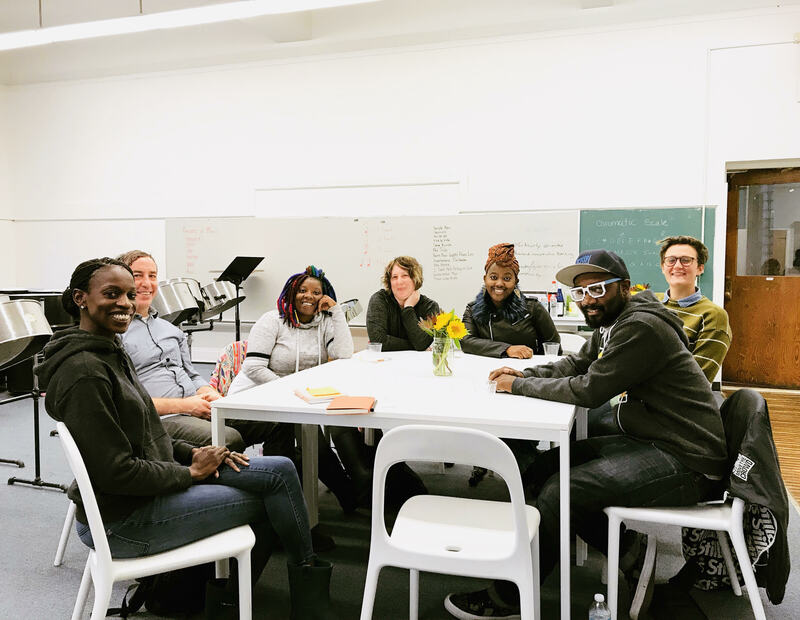 Activate the Arts is a residency program to support artists in the development of their work and connect them to new opportunities through our space in Wilkinsburg. Resident artists gain a $500 stipend, 4 professional development workshops, free admission to all Community Forge events, discounted event space, and a hot desk space in our coworking office. This program is supported in part by New Sun Rising. The program is designed and led by Leigh Soloman Pugliano and Ariel Beach-Westmoreland. We currently have 4 artists in our program: Ayana Sade, Dalia Shevin, Latrice Phoenix, and Nathan Byrne. Go to our residents page to find out more. We will be hosting a final showcase of their work on December 1st 2018. Youth empowerment means not only making programs for youth, but giving youth the power to take on leadership and make decisions, especially on issues pertinent to them. The Community Forge Youth Advisory Council is a team of youth who are decision-makers at Community Forge. Currently, they lead our playground development efforts, give advice on programs, and are helping develop and run youth events. We currently have 6 members: Antonie Smith, Bryan Finch, Charles Johnson, Chris Davis, Na’Caira Amhurst, and Zariah Harper. Looking for more activities? Check out the programs that our resident organizations on our resident page.